Obit William (Bill) C. Lowe, the IBM manager who broke through Big Blue's corporate structure to build its first personal computer (and inadvertently made Microsoft the industry's powerhouse) has died at the age of 72 after a heart attack. Lowe joined IBM in 1962 and swiftly rose through the ranks to become lab director at the company's Boca Raton base in Florida. But in 1979 he was given what was, at the time, a seemingly impossible task – building a working personal computer in a year. Big Blue was the computing company in the 1950s and 60s, but it dealt in big-iron systems. In the 1970s companies such as Altair, Apple and others showed there was a booming market for small computers and IBM felt it had to get in the game, and quickly. But that was a problem. IBM's corporate culture didn’t do things fast – decisions were carefully scrutinized and design teams worked for years to develop their own hardware that was as good as they could make it internally. To build a PC in a year would be impossible, unless the company was willing to buy in hardware and software from third-parties. Lowe convinced the IBM board that this particular strategy was the only way to go, and thus set up Project Chess: a team of a dozen engineers who would design and build the first IBM PC. Getting off-the-shelf components to power the system wasn't too big an issue, but getting the software to run it was, and Lowe and his crew went to two companies to get it: Digital Research and Microsoft. At the time Gary Kildall's firm Digital Research was the biggest operating-system vendor in the nascent PC market and its CP/M software was popular and flexible. Microsoft was then one of the biggest suppliers of BASIC interpreters and other software, so IBM sent out a purchasing squad to get the code it needed. The team met Gates first – it helped that his mother was on the board of the non-profit United Way of America, as was John Opel, chairman of IBM, so she put in a good word about her son. But before discussing the project, IBM asked Gates and his team to sign one of its legendary non-disclosure agreements (NDA), which gave Big Blue full access to Microsoft's business and locked down the small software house from discussing anything about the meetings. Bill had no problems signing the NDA and discussed the situation with Lowe and others before confirming Microsoft could supply their programming language needs, although he recommended they speak to Kindall to get CP/M as an operating system. When the IBM suits arrived at Kindall's house, he was away at the time, indulging in his passion for flying or so Silicon Valley history has it. His wife, also a director at Digital, answered the door instead, took one look at the NDA and called the firm's lawyer. That day's meeting between Big Blue and Digital, which Kindall turned up to after his flight, failed to produce a deal. This left IBM in something of a quandary, so they went back to Gates and asked if he had any ideas. Seeing an opportunity, Gates said Microsoft could supply IBM with the operating systems it needed. The only problem was Microsoft didn’t have a working operating system, so it went to Seattle Computer Products, which had just written one called QDOS (Quick and Dirty Operating System), bought it for $50,000 and renamed it MS-DOS (but IBM branded it PC DOS). 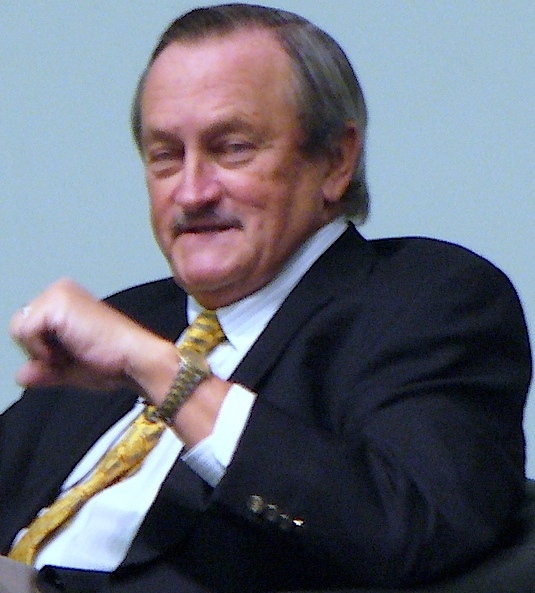 Lowe moved over to the position of general manager of IBM's Rochester plant in 1980, so it was his successor Don Estridge who launched the IBM Personal Computer 5150 in 1981. It soon became clear that Big Blue had a hit on its hands, with the computer selling six times the forecast figure in its first year. But Lowe and his team had made two crucial mistakes. Firstly, because it used third-party components, IBM didn’t have control over the design. The only part of the computer IBM had copyright control of was the BIOS ROM chip, and before long Compaq had figured a way to reverse-engineer it so that it could sell IBM-compatible systems for less than Big Blue was charging. Secondly, IBM made the mistake of letting Microsoft sell its operating system to other manufacturers, rather than reserving it exclusively for IBM alone. Gates cheerfully sold his OS to the PC cloners and it became the de facto standard for the industry. Lowe came back to the PC business in 1985 after Estridge's death in an air crash. In an effort to regain control of the market, in 1987 IBM introduced the PS/2 computer, which rewrote the architecture for its PCs, and a new operating system called OS/2. Unfortunately for IBM, buyers weren't sold on changing out their existing PCs to the relatively pricey PS/2 architecture and OS/2 was being written in partnership with Microsoft – which understandably wasn't putting too much effort into coding a rival product. Neither the new computer nor the operating system took off and IBM was increasingly relegated to also-ran status among PC purchasers. Lowe was partially blamed for the situation, despite his enormous achievement in getting IBM moving, and left the company in 1988 in search of pastures new at Xerox.